Kaspersky Lab has upgraded its Kaspersky Internet Security for Android with Privacy Alert – a new feature that warns the users if their private information is being monitored via commercially available spyware. While this kind of software is deemed to be legal, the program’s presence is often both unwanted and unknown by the user affected. In some cases, a program’s download page specifically states the software is intended to be used for secretly spying on the user. For this reason, Kaspersky Lab decided to introduce a special alert for such programs, enabling those affected to decide for themselves what they want to do about it. Commercial spyware programs are background-running apps installed on phones, which can be used to monitor and track device activity. Usually used to spy on partners or ex-partners, there is nothing to stop people using such programs to target specific individuals for malicious purposes. This is often done without the victim’s knowledge, leading to these types of programs being commonly referred to as ‘stalkerware’. While functionality varies, it often allows the person who installed it to access their victim’s device information, SMS messages, photographs, social media conversations, geolocation data and, in certain cases, to transfer audio and camera recordings in real time. While installing stalkerware on someone else’s device requires physical access, it can be done quickly by downloading an app onto the phone from a distributor’s website. In 2018, Kaspersky Lab products detected stalkerware programs on 58,487 unique mobile devices – proving the severity of the threat. While it seems hard to even imagine that such a blatant privacy invasion can be so common and easily accessible, stalkerware programs have been exposed and publicly criticized multiple times. Yet, in most countries their status remains vague. Kaspersky Lab has now developed new attention grabbing alert that clearly notifies users of Kaspersky Internet Security for Android if such programs are found on their devices. In addition, Kaspersky Lab researchers have looked at the wider landscape for such software. The resulting report, ‘Beware of stalkerware’, features analysis of commercially available spyware, including the most popular consumer surveillance apps. The research shows that alongside the obvious privacy invasion, such programs generally lack protection measures for the sensitive data being hijacked. For instance, five out of 10 stalkerware programs analyzed had either experienced a data-breach or were found to be vulnerable to such attacks. Analysts even discovered one vendor storing victim data files on a server with critical security vulnerability, leaving the stored data accessible to all. Digital stalking and falling prey to them can make life difficult and sadly it’s happening more and more often in modern society. To help get the message on digital stalking across to Gen Z, Kaspersky Lab partnered with Australian comedian, Joe White. Cybersecurity is no laughing matter. But Joe White cleverly used humour to entertain and educate young folk about digital stalking with his comedy sketch that has reached hundreds of views. Joe is upfront about how cybersecurity hasn’t been something he paid attention to until now. “I was given free rein on the content so the video educates and pokes fun at personal stalking and hacking experiences. Who hasn’t received a scam email or a message on a dating site from a total stranger seeking private information? It’s important for the new generation to be aware, even if it simply helps to avoid answering messages from potential love interests who won millions of dollars and want to split it with me,” he jokes. Change all security settings in your mobile device if you are leaving a relationship. An ex may undertake attempts to acquire your personal information in order to manipulate you. To learn more about the modern state of commercial spyware programs, read the report on Securelist.com. 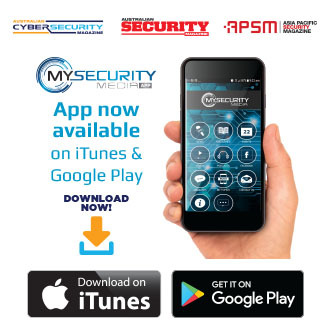 To download Kaspersky Internet Security for Android with the new Privacy Alert, please visit the Google Play store. Special Joe White and Kaspersky Lab presentations of Ethiopian & Still Not Hungry at Melbourne International Comedy Festival are on every Friday and Saturday nights from 29 March to 20 April at the Afro Hub. Tickets can be purchased here. Kaspersky Lab is a global cybersecurity company, which has been operating in the market for over 21 years. Kaspersky Lab’s deep threat intelligence and security expertise is constantly transforming into next-generation security solutions and services to protect businesses, critical infrastructure, governments and consumers around the globe. The company’s comprehensive security portfolio includes leading endpoint protection and a number of specialized security solutions and services to fight sophisticated and evolving digital threats. Over 400 million users are protected by Kaspersky Lab technologies and we help 270,000 corporate clients protect what matters most to them. Learn more at www.kaspersky.com.au.